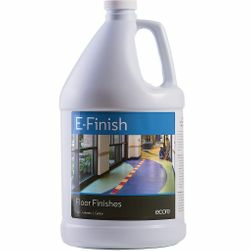 Ecore flooring is a great solution for commercial environments requiring soft, slip-resistant flooring. The line of eco-friendly, recycled rubber floors is popular in hospitals, gyms, hotels and more. 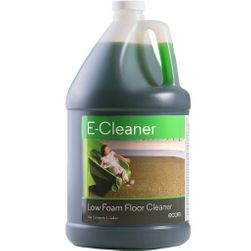 1877FloorGuy can help you find the right commercial-use Ecore floor care products to care for your flooring, whether you want a thorough clean or a refinishing product that restores the floor's shine. Ecore products are environmentally responsible and designed specifically for safe, complete cleaning of your Ecore rubber surfacing products without damaging the quality or finish. 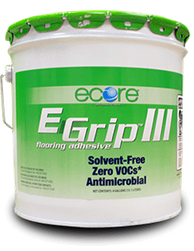 Use Ecore E-Cleaner, a routine Ecore cleaner for everyday maintenance of your Ecore rubber floors, to ensure that your Ecore floors look and perform their best in high-traffic environments. 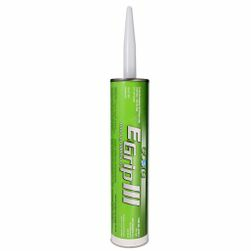 The complete line of Ecore maintenance products are recommended by Ecore as a system to ensure a smooth installation and long-term enjoyment. 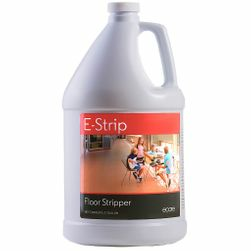 Regularly using E-Cleaner, E-Strip and E-Finish on your rubber flooring will ensure that you're upholding your floor's Ecore's warranty and protecting your flooring investment. Questions? 1877FloorGuy is well-equipped to handle all your Ecore floor care inquiries. Contact us today at 1-877-FLOOR-GUY (1-877-356-6748) with any questions, concerns or comments. We welcome the opportunity to speak with you. Get exclusive discounts, reminders and products updates sent to your inbox!